So I was planning on posting this amaaaaaazing dinner recipe today (seriously…this is the one and only meal in my arsenal than not one person in my family complains about and where every single leftover got eaten), but as I was madly preparing for the 4th and then reeling in the aftermath of it all, I realized that today is Friday and that people are likely not working and tired and are sleeping in and are going to be out of their routines and that a day like today is not a day for meals that take grocery shopping and advance preparation and things like fresh herbs. Today is a day for caffeine. Now…I know there are people reading this who are going to think I’m a heathen spawn of evil for posting a recipe with Diet Coke. I know there are those of you out there who long to tell me that Diet Coke is poison and that every cell in my body screams with a tiny, hyper voice with every sip I take. To all of you: I hear you. I probably am the heathen spawn of evil and I probably am poisoning myself, but see, I’m a Mormon girl, which means my list of potential vices is depressingly small, and, try as I might, I can’t seem to find more than 5, sometimes 6 hours to sleep every night. So here we are at Diet Coke. Hello, old friend. I heard about Dirty Diet Coke the other day on a comment on one of my pictures on Instagram (if you haven’t already, go check out Sara’s, too!) and I knew I pretty much needed to try it out immediately. As luck would have it, I had coconut syrup (I ordered mine from Amazon, but World Market carries an amazing selection too), Diet Coke (duh), and limes on hand. Now…some of the methods I see call for sugar-free coconut syrup. I used full-sugar coconut syrup because a) that is what I had and I didn’t really feel like waiting and b) sugar-free syrup didn’t sound very dirty. It kind of reminded me of when Gwyneth Paltrow said she knew she had hit rock bottom when she found herself eating brown rice straight from the container in the middle of the night and I just thought, “Her dieting rock bottom is way different from my dieting rock bottom.” If I’m going to have a Dirty Diet Coke, it’s gonna be dirrrty. Sugar and everything. I found a 24-ounce cup to be the perfect size (I totally haven’t been obsessively making these or anything). I have these heavy-duty clear cups from Sam’s Club (kind of like the ones you get in coffee shops or cool little cafes), but I have many cups and glasses in my cupboards that hold 24 ounces. 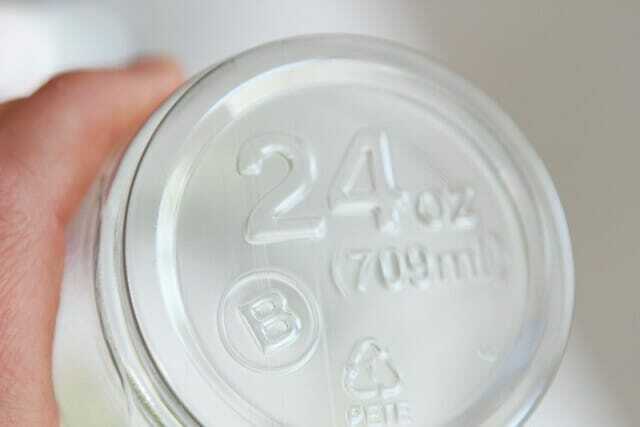 Pour 2 tablespoons of coconut syrup into the bottom of a 24-ounce cup or glass. Fill it about halfway full with crushed ice. Squeeze the lime quarters over the ice and drop them into the glass so the rind is touching the ice. Pour the Diet Coke over the spent limes. This is kind of the traditional Dirty Diet Coke. And it’s delicious and amazing and I think about it all the time (not that that’s weird or anything). But if you’re feeling wild and crazy…if you’ve had a rough day…if you wish you were somewhere tropical…if you just want to, add about 1-2 tablespoons (really, just a splash) of half and half. It’s amazing. It’s such a great treat (and honestly, if you’re going to have a treat, all things considered, this one isn’t too bad, although it’s probably not the best idea to drink ALL your Diet Cokes with sugar and cream…just saying.) Add a straw to stir and serve. This makes 1 serving. Just for you. No one else. Go hide somewhere with a lock on the door and enjoy. For those days when you just really need caffeine and sugar. Pour the coconut syrup into the bottom of a 24-ounce glass. Fill it about halfway full with crushed ice. If desired, add a splash of half and half. Add a straw to stir and serve. Oh yum!! I’ve heard my friends talk about these Dirty Diet Cokes – I’m gonna have to see what the fuss is all about! I’d never heard of Dirty Diet Coke or Dirty Dr Pepper until a few weeks ago when my friends introduced me to it. Now I’m seeing it on several of my favorite blogs. It’s karma. Never heard of using half-and-half in it though. That’s a stroke of brilliance that is bound to be delicious. Does the sugar in the syrup make the diet coke taste more bitter? I’m gonna need one of these today. My kids don’t understand the concept of sleeping in after staying out super late watching fireworks. Not at ALL. If anything, the sugar in the syrup kind of takes the bitter edge/aftertaste off of the Diet Coke. I’m not even a huge fan of diet coke (gasp…shocking, I know :)), but even I want to try this! I use the sugar free coconut syrup and it is still delicious and I drink one about every day! You’re right, I do believe Diet Coke is Satan’s Spawn 🙂 But seriously, if you’re gonna drink something as bad as that, why not go all the way with a regular Coke? ‘Cause I mean, this ‘diet nonsense’ ain’t helpin’ anyone in the weight department,am I right? I’m with you there, Kate. I drink diet coke for the taste, baby. I like the aspartame taste way better than the sugar taste of regular coke. I am a strictly regular Coke kind of girl. (Can’t STAND the taste of artificial sweeteners.) Would love to hear from anybody who’s tried this with reg sodas? It’s good with regular Dr. Pepper. Maybe if you’re using regular Coke you could add the sugar free syrup so it doesn’t add more sugar to it. I have given up drinking any kind of soda all together because I didn’t like the way it made me feel. (I was a Diet Coke-aholic for years) I will say though that this makes me want to run to the store and give this a try! You are right about the diet part. I had a friend who lost 80 pounds just giving up her “diet” coke habit. She also started walking everyday. She changed her life in a BIG way. You had me at diet coke. 🙂 In fact, I’m drinking one over crushed ice right now. Too bad I don’t have any syrup or limes at work! Your sense of humor cracks me up! This dirty Diet Coke sounds delish. And I’m with you 100% – Gwyneth’s dieting rock bottom is waaay different than mine! I think that Dirty Diet Coke and Dirty Dr. Pepper were made famous in a little drive-through joint in St. George, Utah called Swig (as in, can I have a swig of your drink?). Swig is famous not only for its dirty drinks–but also for a particular kind of cookie called a Swig Sugar Cookie. How funny! It’s good to know where it came from. If I’m ever in St. George, I’ll have to go there! You’re right about that. I just saw Swig profiled on television and apparently the Dirty Dr Pepper is the best seller. Have to investigate! I love your recipes and I will NEVER judge your obsession with Diet Coke. I myself prefer Diet Coke Vanilla and I don’t know how you can hack the regular. Do they still make it?! I haven’t seen it in the stores in forever!! They sell Vanilla Coke Zero!!! And if you ask me, Coke Zero is WAY better than Diet Coke 🙂 No calories and more flavor! I have been doing the same thing with Dr. Pepper and it is DELICIOUS!!!! My neighbor got me hooked on these at Warrens! Yum! But I am not a coke drinker so I do mine with Dr. Pepper, and I think it is equally delicious. Have never heard of the half and half. I am going to have to try it that way as well! Your looks divine! Like it is 9:30 am and I think I need one. I’m REALLY going to have to try this with Dr. Pepper. Like…today. Love this post!! Of course I need to try the drink, but I really need those 24oz glasses!! Holy Hannah. This sounds insanely delicious! Haaaaa! Yeah, me, too. One of my first words was Pepsi–I was at my mom’s friend’s house and her friend opened up a Diet Pepsi and I came crawling into the room saying, “Pepsi Pepsi Pepsi.” I had no shot at a normal life. I recently heard of dirty diet cokes and had no idea what that was. Thank you for clarifying. I WILL be trying this. One of my all time favorite drinks has been a Dr. Pepper with Blue Coconut syrup from Sonic. Will have to try an “at home” version for sure. I am loving the idea of adding half and half— hehehe! 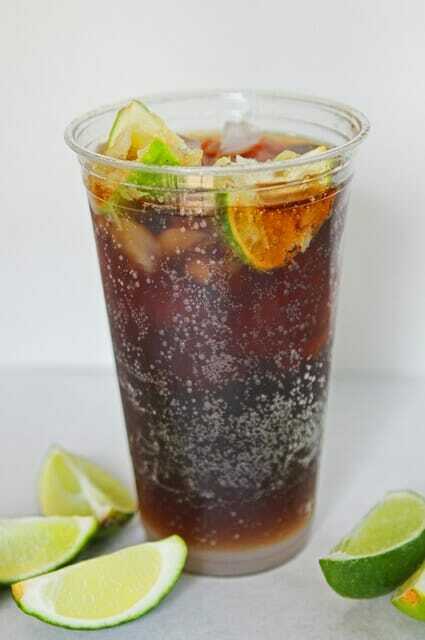 I stopped drinking soda for a few weeks and now I keep seeing this dirty diet coke recipe and want to try it! What else do you use Coconut syrup for? You can use it for snow cones, Italian sodas, use it to flavor syrups, etc. Add a spot of coconut syrup to your hot cocoa this winter…. I have to admit I am more of cherry Pepsi girl. Yet another thing I really enjoy are cherry limeades, like the ones you can get at Taco Bell or sonic. How could I recreate that at home? Oh yes, please someone help with the Cherry Limeade from Taco Bell. I know the base is Sierra Mist, but which Cherry flavoring do they use? Considering I’m a regular Coke person or unsweetend ice tea drinker I love those and drive out of my way to find one. Love that you are so real and funny Kate. I don’t know what cherry syrup Taco Bell uses, but try Roses grenadine syrup. That’s what most places use to make Shirley Temples, so I wonder if it would work for cherry limeades. My first word was Pepsi too! 😉 This looks heavenly, though as a devoted Dr. Pepper drinker, I’ll be going that way as well…thanks for the idea! I haven’t had a soda in 2 months but I am so tempted to try this just for fun. I can stop again any time I want, right? Loved the “hyper little voice” comment. Thanks for making me smile when I am also dragging from a late night 4th of July block party with the neighbors. It’s criminal to have to get up early for work today. This is the most beautiful thing I have ever seen. At the beginning of the year, I gave up Diet Coke because it had become an unhealthy obsession. Now, I do allow myself one per week as a special “mom treat”. This would be a fun way to make it even more special! Thanks for another amazing recipe!! Where do you find the coconut syrup? I’ve looked in all the stores, and haven’t been able to find it except online. Cost Plus World Market has all the Torani syrups – sugar and sugar free. I got mine from Amazon, but yes, you can find it at World Market (we don’t have one where I live) or you can order them from the Torani website. Some kitchen/restaurant supply stores sell them locally, too. in southern california, smart & final has them too. If you have a Gordmans near you they sell a variety of Torrani syrups. They’re cheaper than World Market too. OH thanks for the tip!!!! I have a Gordman’s!! I’m laughing reading your post because Diet Coke is my vice and I use the exact same rational – the number of vices available to me are so small that waking up after two night time feedings and helping myself to a Diet Coke doesn’t seem all that bad. I might have to try this but I’m a purest when it comes to my Diet Coke. LOVE it!! Can’t wait to go home and try this! Got to Torani’s website…. you will be AMAZED at all of the goodness there. SO many syrups, so little time. Dirty Dr. Pepper is THA BOMB!!! 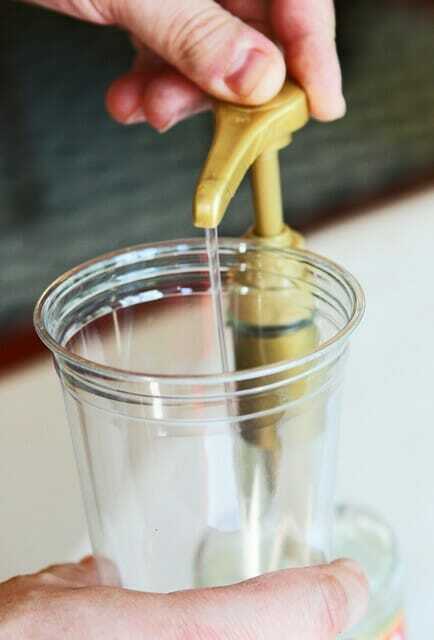 This Mormon girl goes one step wilder – drinking “Scotch and Soda” – Put 2 tablespoons of Vanilla syrup (but who really measures)in bottom of cup, fill cup with ice, pour in 7-up or Sprite, squeeze a couple of lemon wedges on top and throw them in the cup. Stir for a great tasting non-alcoholic, fun sounding treat without the “stigma” of caffeine. Tastes great with all sugar-free ingredients. I’m not trying to be a party pooper……but, the original Swig has trademarked the “dirty” name….. I agree!!! I was bugged by this too. Well then, as long as she doesn’t open a dingy drive-in, bake sub-par sugar cookies and try to make a profit off these she should be fine. Although, I’d like to see that trademark. I’ve heard of drinks being “dirty” for years. “Dirty martini” ring a bell? I agree with Chelsea. And since Dr. Pepper and Coke have their own trademark, they wouldn’t be able to trademark the name “Dirty Dr. Pepper” or “Dirty Diet Coke”. There is also a dirty cappuccino. So I’m pretty sure they didn’t come up with the term. I cannot wait to try this! Diet Coke and I have been fast friends for over half my life, and I’m excited to find a new way to enjoy! I saw this posted on facebook. You had me at ‘diet coke’ buuuttttt…. I had visions of adult enhancement. I wonder how I could make this an adult cocktail. Add coconut rum instead of coconut syrup! To make an adult version: Use Coconut-flavored Rum (Malibu). It’s delish! I’ve been craving one of these for weeks and I couldn’t find coconut syrup anywhere. Since I live in texas and no one understands that I don’t drink everyone I asked tried to sell me pina colada mix. Then I saw your4th of July post that said you can get them at world market– totally made my week! I’m going to try one now! YOU ARE MY NEW BFF!!!!!!!!!!!!!!!!! My day will not be complete until I have one of these! Thank you for introducing me to a new obsession. Would coconut extract work? I don’t drink diet sodas, but if you think adding the syrup to regular coke would make it too sweet, I am thinking coconut extract would be a good option. Does the syrup add any other flavors that I would be missing out on if I used the extract? I find myself adding it to most recipes that call for coconut milk (I love it in your pineapple cilantro rice and in smoothies) as I am always looking for more coconut flavor. Wow! This sounds delicious! I wish I had everything I needed for this now. It’s been a rough day! I am trapped at home today with no way to try this. WAHHHHH!!!!! Add a splash of rum would top that off nicely! I had all of the ingredients except lime, but couldn’t wait to try one. OMG…it’s soooo good! And the best part is I can drink this and stay low carb using sugar free syrup and heavy cream. Thank you! Dirty Diet Cokes have become my newest obsession after seeing a link on Pinterest and thinking that was about one of the most genious inventions EVER. And no, I DON’T use sugar free syrup. I think a 90 calorie treat isn’t too bad in the big scheme of things. But adding half and half?!? Now that’s what I call DIRRRRRY!! Thank you, Kate, for always looking for was to make a good thing a great thing! Substitute “Diet Coke” for “Diet Dr Pepper”, and I think we have the same list of vices. So, I’m right there with you, Sister! This looks so good, though, that I think I might have to give Diet Coke another shot! 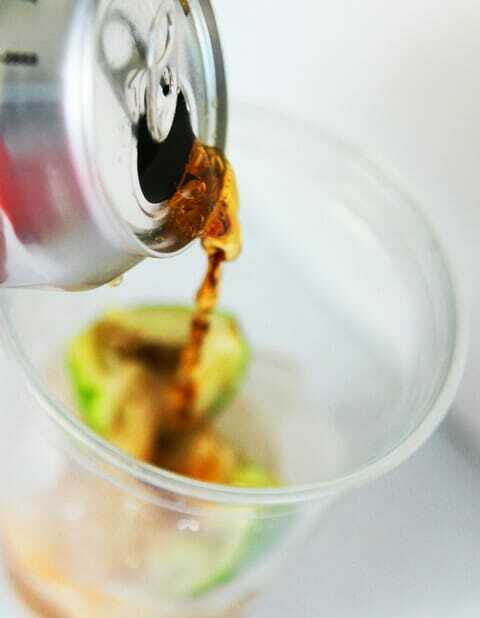 Do it with a Diet Dr. Pepper! Sorry! That sounded bossy. I just got excited, haha. I learned about these last summer and got all my friends hooked on them. Now I’m seeing them everywhere! I asked my husband last night if it makes me a hipster, since I knew about it first. He said, “not when it concerns diet coke.” Touche. The heavens just parted and I could swear I heard angels singing…. now to grab some diet coke! Oh wow. This is amazing. I’ve never heard of this but now I want one SO bad. Pinned, and totally making. Wait a minute. You’re not supposed to eat rice out of the refrigerator in the middle of the night? Why ruin it with DIET Coke? Just enjoy it. You have created a run on coconut syrup in Utah. I am on two waiting lists: I am number 151 at World Market (maybe mid August I’ll get some) and even farther down the line at Gygi’s in Salt Lake City. You wield such power! Kind of like Oprah in the food world! No. Way. That’s HILARIOUS! I’m so sorry, haha! We made this tonight with dinner and holy cow! This drink is ridiculous. We served it along with the curry chicken and pineapple salsa from Savoring the Seasons (accompanied with cilantro lime rice and steamed broccoli). It was the perfect summer dinner. Wow. This is great, but on one hand, I am sad to find out we have been driving through St. George for years and not known about Swig. Definitely on the list for next year. And second, I had to share this link with you, because I bet you like Sonic Ice: http://www.kevinandamanda.com/whatsnew/house-and-home/my-very-own-nugget-ice-machine.html. On the Dream list! So, I have a bottle (or two) of coconut cream in the cabinet… would be coconut syrup and half and half mixed, right? Sort of? Gonna try it with my Pepsi and find out! I was thinking the same thing, since I have 1/2 a bottle of “Coco Real Cream of Coconut” hanging out in my fridge. It was DELISH! My go-to summer drink, for sure. They have a dessert with crescent roll wrapped apple slices with a Mt. Dew sauce that is ridiculous!! If you’re in the Boise area, you can get Torani syrups at very good prices at Cash and Carry. Nampa has one too, but sadly none in SLC. I’m sure other restaurant supply stotes would have them and most will sell to the public. I first heard of these in St. George (UT) a few months ago at SWIG. And now it seems all restaurants in northern UT sell dirty cokes. They are my favorite. I crave them!! I’ll have to try it with the half and half. YUM! I had to have one of these, and remembered that Winco sells the Torani syrups. However, they didn’t have coconut! So, I’m going to try french vanilla, and I let the clerk know that they need to carry the coconut flavor! I will also be using caffeine free diet Coke… not that I don’t like caffeine, but I just can’t handle it. It’s a love-hate relationship! So, I’ve been dying to try this but didn’t want to go searching for coconut syrup OR wait for it in the mail. So I found a way to make it!! 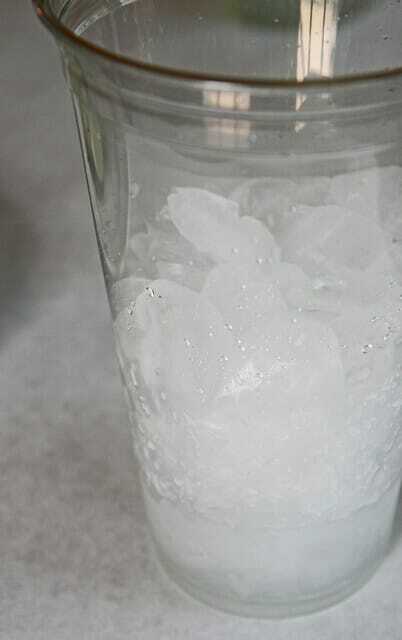 1-2 c sugar, 1 c water. Heat until boiling and dissolved – stirring continuously. Add 1 tbs coconut extract. I’m currently waiting for mine to cool enough to use. Hopefully it’s just as yummy!! Did your homemade version work? Haha! Kate – you had me at Diet Coke. I stick my fingers in my ears too when people tell me how bad it is. I mean, I’m not drinking or smoking or doin’ drugs…but mama’s gotta have her Diet Coke or the day’s just not going to happen. Can’t wait to try this. Diet Coke is nectar of the gods. My friend whines at me all the time about how evil Diet Coke is, and it makes me drink it even more. And it’s hilarious that the “told-you-so” crowd still has the chime in to tell us DC drinkers how awful we are. Yeah, it’s my vice too, but way better than drugs, right? Can’t wait to try the dirty version! Pretty sure we can be BFFs, haha! I tried a diet Mtn. Dew with Mango puree at Swig in St George last fall. Yummy. I’m heading there again tomorrow and will definately try something new! Can you imagine if we had pellet ice with a Dirty Diet Coke??? I think I would be translated on the spot! I actually bought a bag of ice from Sonic on the 4th (because I’m not awesome like Sara and I don’t have my own Sonic ice machine) and yes…fit was translation-worthy. I made my own coconut syrup so I can try this tonight. Hope it’s as good as everyone says!!!! I think I’m going to try this with a shot of Bacardi! LOVE IT!! What do you think of cherry instead of coconut? i’m gonna try it. I love what this represents…because even if you don’t really like soda (which I DOOOOO!!!) every mom needs a “just for you, no one else, hide and enjoy” indulgence! PS-dieting rock bottom with RICE???!!! Maybe they don’t have Cheetos or Ben and Jerry’s in California…. Ok – this was fabulous. LIme and coconut have become one of my favorite combinations. Thanks! So, now that you’re great at summer drinks – can you come up with a copy cat recipe for me? We just got back from a trip down in Utah and we always have to stop at Sonic when we’re out of town. Alaska sadly has none. My favorite thing is their Lemonberry Cream Slush. I’ve looked and looked online for a recipe, but I can’t find anyone that looks very close. Can you come up with one for me? Please?!?! I’m hating life again now that we’re so far away from a Sonic. That looks SO good! I may need to make that! I think this is going to be a game changer! One of my favorite drinks ever is Sonic’s Coke Zero with vanilla flavoring added, this looks just as delicious as that if not more so! Thanks for the recipe! A friend told me about this yesterday. We are Texans, and had never heard of this before, but I ALWAYS have coconut syrup (sugar-free), diet Pepsi ( unless I can get the original old style Pepsi in a bottle from MX) and limes in my kitchen. Can’t wait to try. Sonic uses maraschino cherry juice in their drinks, and grenadine is pomegranate juice…delish! “my list of potential vices is depressingly small” Yes thank you! It gets so tiring drinking water and lemonade when my friends get to drink things called sangrias and cosmos. I mean, who doesn’t want to drink something called “appletini? ?” Anyway, we love Italian sodas around here, so this is going to be right up my ally. It’s easy, doesn’t require I get out my blender or make a syrup from scratch–again thanks! P.S. I love your carmalitas and Peter and I had a moment over ice cream tonight–just saying that 5 lb. block is not lasting too long. So I suppose caramel is on my list of vices. I live 45 mins from St George and Swig is ALWAYS a place we have to go when we’re down there. (We may or may not have driven all the way down there JUST for Swig…. a few times.) The dirty Sprite is also VERY good. My personal fave is the Mango Purée Mountain Dew. A lot of local places try to immitate it with mango syrup, but it’s just NOT the same! 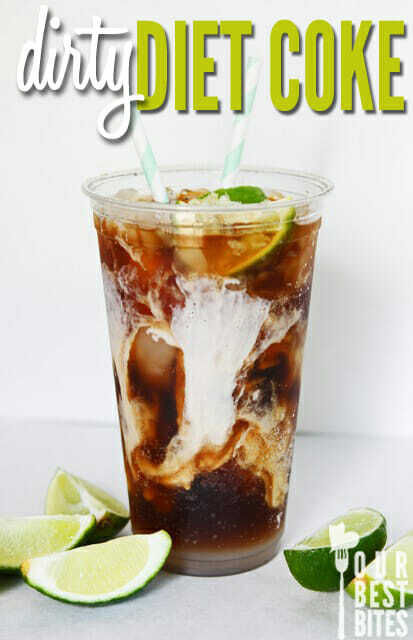 Normaly i hate Coke – but now, with this recipe…I´m in LOVE! This will be soon in my Blog, thanks for charing it! I have been wanting to try this so bad! I couldn’t find coconut syrup, but I did find “Samoa flavored” Coffee Mate in the fridge section of my local grocery store. I just added a little, about a tbls to my Diet Dr. Pepper, it was Ahhhhhhhmazing! I just found my new favorite treat. Just made this exactly as written except used diet coke with lime since that is what I had. I dont recommend it. Not super yummy, so I will have to get the regular diet coke and try again. I am sure it’s better that way. What a gem of a recipe. Can’t wait to try it! This looks delicious!! What kind of alcohol would be good added to this to make it the perfect adult drink?! Tried this today, it was good but I need to add more lime and coconut! I haven’t had soda in a long long time as I am a very low sugar consumer now. Since I saw this, I have been craving it! I used regular coke too. I made a delicious cherry limeade at home recently that was more friendly to the way I eat. I used sparkling water (fill the glass with ice a little over half way) them add cherry juicy juice to the top squeeze a slice of lime and you have a yummy cherry limeade that’s lower in sugar, no HFCs, and no red 40! 🙂 if you want it sweet you could use Sierra mist or 7up instead of sparkling water. So, I made this today but the half and half curdled. Anyone else have this issue? It tasted great but looked terrible! I also had curdled half and half. Not pretty. I’ve tried a few times and it curdles every time. No one else has mentioned it, I’m glad it’s not just me! Citrus + dairy usually results in curdled milk so I’m not sure how other people aren’t having this problem? That’s so weird! I’ve literally made this countless times and it hasn’t curdled. I use ultra-pasteurized half and half because that’s all I can find at the store–wondering if that makes a difference. I made this today and it was so good. Mine also curdled. I only had fat-free half n’ half on hand, so I wonder if that was the culprit of curdling? It tasted amazing though. We are lucky here and have a Cash n’ Carry, and they have so many different flavors of syrup. And they are only $3.20 each! I am reading that cream is less likely to curdle than milk. I am willing to take one for the team and try it. It tastes delicious with the half and half, it’s just not pretty. Holy Deliciousness! This is enough to keep a good girl out of Heaven. American Fork (UT) just opened a SWIG knock-off … but their dirty diet coke version isn’t nearly as good as this one here! I’m going thru bottles of coconut syrup weekly, simply fabulous and just might be the highlight of my day, daily 🙂 Just had to say, thanks again for sharing!! and now I really want some of those 24-oz cups you use!!! I have been obsessed with this lately. I asked 3 separate grocery managers to try to get the coconut syrup in and Lee’s Market in North Ogden came through! They sold out so fast that they ordered more. Yay! I also have talked to the Toroni Vendor and he is looking into the store inventories. I am a Dirty Diet Dr Pepper fan and just an FYI if you use the lime in it, the flavor combination is NOT right. A Dirty Dr. Pepper is just coconut, NO LIME! So if you tried it and didn’t like it, give it another chance! You can get these drinks at Dillons, Warrens or Kirts Drive In or Maverick is starting to have lime and coconut flavors in their fountain drinks so you can make your own there as well. Happy Dirty Drinking!!! I searched and searched for in-store Torani coconut syrup and couldn’t find it. I felt like the price on Amazon was too expensive compared to in-store prices, so I started searching for an alternative to Torani. I found these great homemade flavored syrups, and the coconut one is great! I’m drinking a Dirty Dr. Pepper right now! I am in love with this idea!! I have looked through two stores and can’t seem to find the coconut syrup though! Any ideas of where I could find it? Thank you so much! Taylor, I’d check out all of the links in this post- there’s several online options as well! I just made dirty diet Coke today. It is good but def overrated! I hadn’t heard of this recipe until your post, however it made me think back to the television show “Laverne & Shirley”. Laverne’s drink of choice in the show was milk & Pepsi mixed. I loved this show growing up, but never had the desire for such a drink until your modern version with limes popped up. I’m looking forward to trying your version. I’ve never had this and it looks so yummy! I can’t find any coconut syrup but I do have cream of coconut on hand. Do you think it would achieve a similar flavor if I subbed the syrup and half and half for the cream of coconut? Thanks! 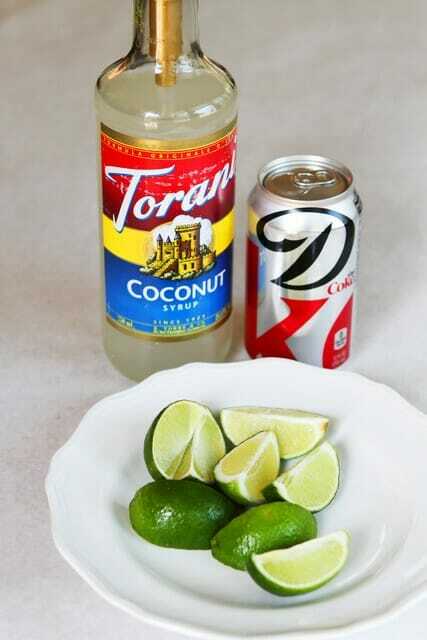 I’ve always added lime to my Diet coke, but never thought of adding coconut. and yes it’s evil, and I feel like I have to hide my drinking of it, but than I tell myself, dude, I don’t drink, I don’t smoke, I exercise and eat well. screw it, I deserve a diet coke, especially if I can’t have a glass of wine at the end of the day! What if you can’t stand coconut? What would I use? How much lime to use? It says to take half a lime and quarter it. If I do that, I only put in 2 slices (a quarter of a whole lime) But if I quarter the whole lime, than you need to put in half a lime. I can’t figure it out from the pictures or directions! I made it yesterday with a coke zero and it was pretty good. If you have a restaurant supply store near you, they generally have Torani or DaVinci syrups in all the flavors. Our Cash & Carry sells them for $3.69 a bottle (the big bottle, not the tiny bottles that the grocery stores carry for the same price). i use coconut rum for the syrup. Delightful! All sodas are bad for you………artificial sweeteners are bad for you……..if you read enough you’ll just not want to put a thing in your mouth except broccoli and filtered water. I just skip the syrup and half and half and add straight coconut milk and lime. My version on it. I need some now! I recently discovered dirty Coke online and tried the version with Coffee Mate coconut creamer. So yummy!! I love the slight creaminess the splash of coffee mate gives. Sounds good, but will the half & half curdle because of the lime? No, but it will curdle with sugar free syrup. I have no idea why!